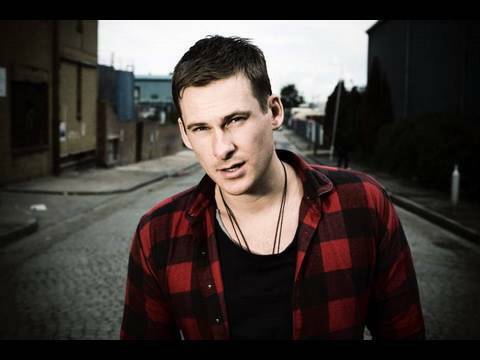 Lee Ryan has pleaded guilty to criminal damage and failing to provide a specimen after being caught driving erratically. He swore at officers and urinated in his cell after his arrest for drink-driving in April. Ryan blamed his behaviour on the online abuse he got after starring in the Channel 5 reality show Celebrity Big Brother. He was fined £3,325 and banned from driving for two years. The 30-year-old said he been out to celebrate the birthday of his bandmate, Duncan James, on the night he was arrested. Police said they saw Ryan swerve while driving a friend's car in Ealing at 5.30am on 11 April. They said there was an empty bottle in a pocket by the driver's seat and they could smell alcohol on the singer. Officers also said he was slurring his words. Majit Mahal, for the prosecution, said: "Officers could immediately smell alcohol from Mr Ryan's breath and his eyes appeared glazed. "Asked if he had consumed some alcohol that night, Mr Ryan said 'Yes, a few'. "Officers then noticed that there was an empty bottle in the pocket of the driver's seat. When Mr Ryan exited the vehicle, he was obviously unsteady on his feet, his speech was slurred." He was in such a "drunken state" that officers took him straight to the police station. The former Celebrity Big Brother contestant refused to take a breath test to see if he had been driving over the limit and also swore a number of times at the police. When he was taken to a cell at Acton police station he was sick on the floor and urinated in the cell. Mr Mahal said officers could see urine was leaking from the door into the hallway. The star is said to have told the police, "I didn't realise there was a toilet here." The father-of-one made headlines when he was involved in a love triangle with actress Jasmine Waltz and model Casey Batchelor during filming of Celebrity Big Brother in January 2014. He originally found fame in 2000 with Blue, who went on to sell 3.3 million albums and more than a million singles in the UK alone. They also took part in the Eurovision Song Contest in 2011, representing the UK, where they came 11th. Fellow Blue singers, Duncan James, Simon Webbe and Anthony Costa, were pictured on their way to court earlier today. Last edited by Loukas; 02-05-2014 at 12:36 PM. .. and what you are is a tool. I do actually feel sorry for him, however I would have made him clean up the vomit and wee when he sobered up for sure. He really doesn't know what the loo is for does he? Wrong thread honey, silly you.